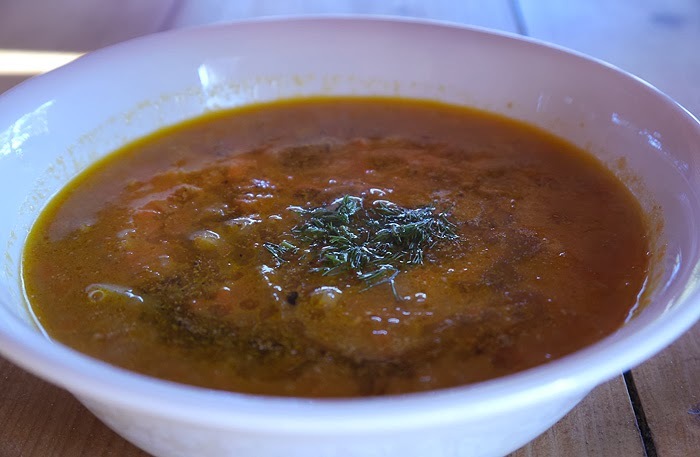 I saw this Roasted Carrot and Fennel Soup in the November 2008 edition of Gourmet magazine. The idea of blending fennel and carrots into a soup intrigued me. So I decided to try it. Now you can watch it being made at Just Cook It with Mario & Bill. Meanwhile stir fennel pollen into remaining 2 tablespoons oil. Sounds great! I might try it, cutting the volume in half though. NO WAY! I am totally tuning in to see you! You’re going to get super-famous and get your own cooking show, aren’t you? That will be acceptable only if you promise to keep designing my blogs. Thanks for sharing! It's a great recipe and perfect for this cold weather we are having here in Pittsburgh. We hope your readers enjoy us making it on Just Cook It Radio as much as we did!